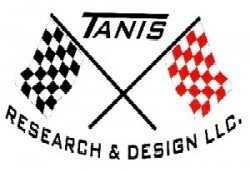 TRD – Medallion Conversion Kits -FAQ – Tanis Research and Design LLC. Does the TRD Conversion Kit Replace my MDC-1600? YES, if your MDC-1600 has failed, now is the time to “ditch” the Expensive MDC, the TRD Custom Harness ELIMINATES the MDC altogether. Can I Install the TRD Kit myself? In most cases yes, if you are comfortable doing basic repair and maintenance on your boat, AND have basic hand tools and the ability to use them. The TRD kits are pre-engineered to fit your boat, each kit comes with detailed instructions with pictures. Can My Dealer or Service Shop Install the Kit? Yes, we have a dealer buying program for qualified dealers and independent Service Shops. I don’t see a TRD Kit for my boat listed? We have several boat models engineered already and more coming aboard as fast as we can. If you don’t see you boat listed please call and we will begin engineering a kit for you! What Gauges are Included? The TRD Kits come with either Faria-Beede, or VDO instruments, The Faria gauges are American Made, have a Polished Stainless Steel trim ring around the bezel, include a Mfg. Limited Lifetime Warranty and are available in White or Black Face. The VDO gauges are made made in Germany or Switzerland and have a 2 year Mfg. Warranty. How is the TRD Custom Wire Harness Made? Because their are so many variations of harness’s used in boats, each harness is custom made to order. The TRD harness will exceed most boat builders already high standards. All harness’s begin with Marine Grade Tinned wire for maximum corrosion resistance, connections are all heat shrink sealed, and terminals used are “double crimped” style connectors. TRD also uses OEM quality any type multi-pin connectors, the same that is in your boat already. All harness’s are then wrapped in wire loom for protection, and include ATC fuses for additional protection. Will the GPS Speedometers need external antennas? NO, Both Faria and VDO are building GPS speedometers for us that have internal antennas. What is a “SPLIT” Harness? Most boat dash panels allow you to remove the instrument panel from the dash and exchange the gauges on a workbench and the harness can be connected to each gauge and then the harness main connector can be fed through an opening to the boat harness. Some boats (American Skier, Sanger etc.) the instrument panel is NOT easily removed and the gauges must be installed while the panel is in place. (they are removable but it would require removing the steering, switch panels, and stereo etc. in order to pull the panel out) In these cases where each individual gauge must be removed from the front and reinstalled through the front we fabricate a “SPLIT” harness. A Split harness allows you to pre-assemble the new gauge with an individual harness, then feed the individual harness through the gauge hole, install the gauge then plug the opposite end of the individual harness into a “Backbone” harness via a multi-pin plug. This eliminates hours and frustration from under the dash, NOT having to connect wires to the gauges and fumbling with tiny nuts and washers. MDC-1600, Medallion 1600, TRD - Medallion, TRD Medallion Conversion Kits, TRD-MDC-1600. Bookmark.